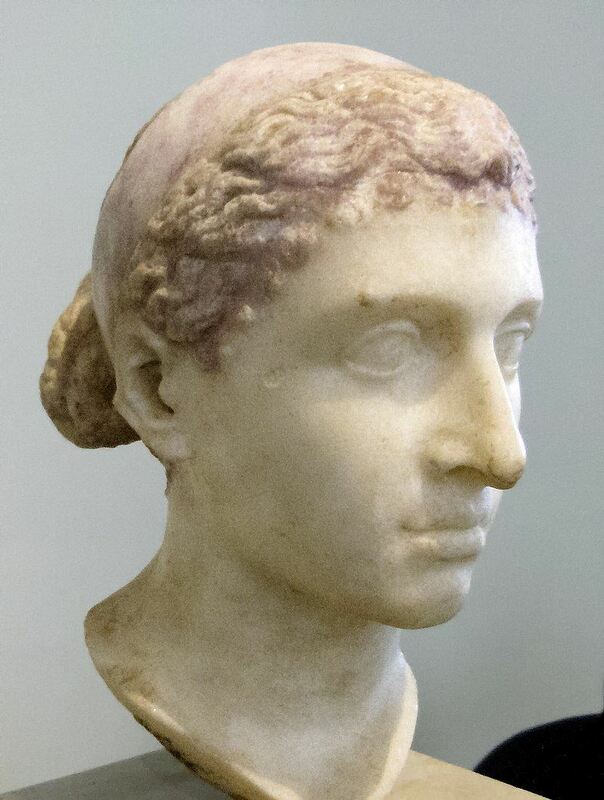 Cleopatra VII Philopator was the last active ruler of the Ptolemaic Kingdom of Egypt, briefly survived as pharaoh by her son Caesarion, the son of Julius Caesar. She originally ruled jointly with her father Ptolemy XII, and later with her brothers Ptolemy XIII and Ptolemy XIV. As sole ruler, she had an affair with Julius Caesar which strengthened her grip on the throne. After his assassination, she aligned with Marcus Antonius, to whom she bore the twins Cleopatra Selene II and Alexander Helios, and son Ptolemy Philadelphus. Antonius committed suicide after losing the Battle of Actium to Octavian's forces, and Cleopatra followed suit, and Egypt became a province of the recently established Roman Empire.